Thank you to all our amazing backers so far, you have just unlocked the upgraded high-quality gem dice into The Hunger Games: Mockingjay – The Board Game. We are now making our way to the next stretch goal of £12,000 which will unlock Egeria for the Capital. Here is a closer look at the miniature. President Snow only surrounds himself with the most talented personnel, and those that are closest to him know the price of failure. Egeria is his minister of the interior and is in command of a large amount of political and bureaucratic power. 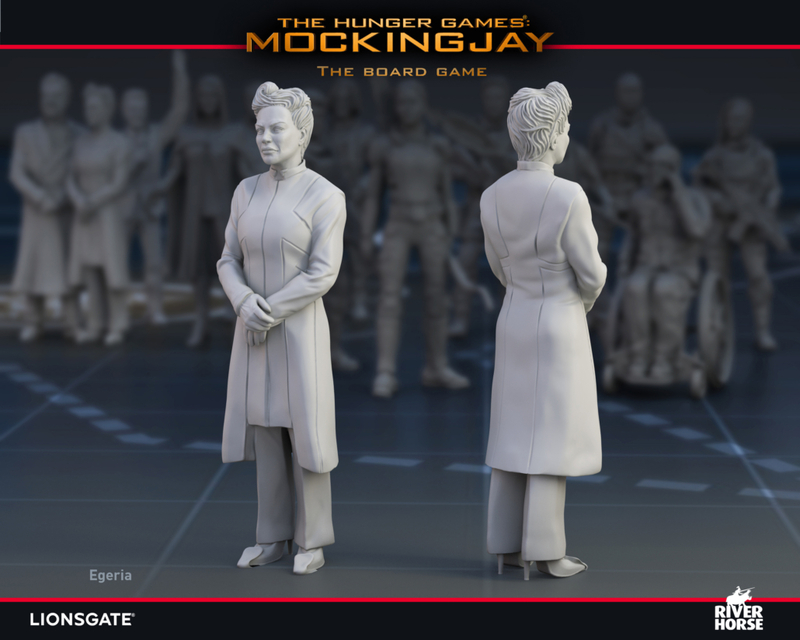 Although she knows that a firm hand and a steel will are needed to keep Panem in line, Egeria struggles to do what must be done when it causes so much pain and misery.